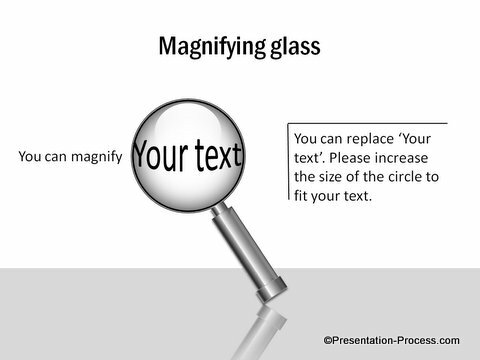 Create Magnifying Glass template in PowerPoint to highlight your key text. 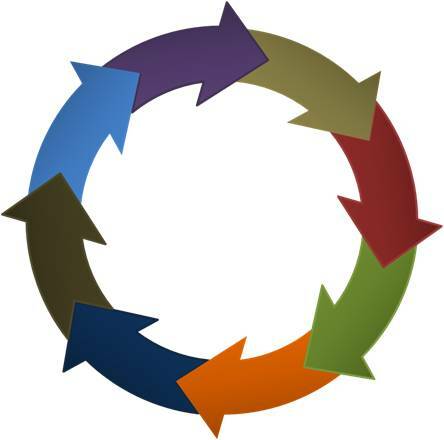 Follow our step by step instruction to create this useful business concept diagram. Note that this is an advanced tutorial. Where to use the hand lens template? 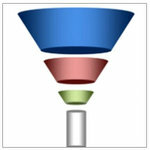 Hand lens is popularly used as a metaphor for search. 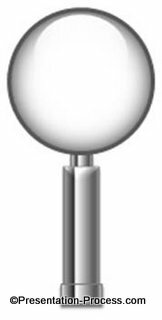 So, you can use the diagram to represent close scrutiny or focus. 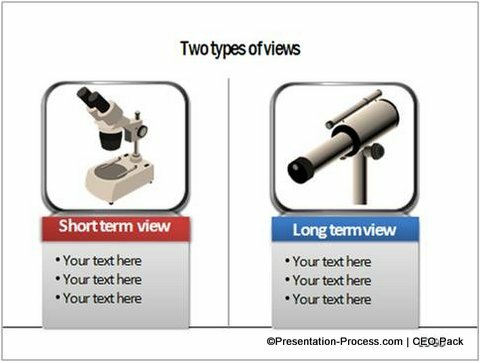 The template is quite handy in strategy or compliance related presentations. 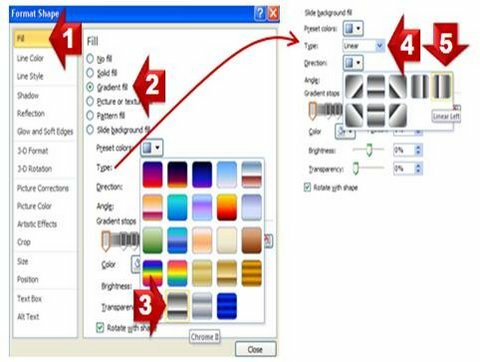 Let us learn to create the diagram in simple steps. Right click on the group. Go to Format Shape -> Fill -> Gradient Fill -> Preset Colors-> Chrome II. Your handle for the lens is ready. Go to Auto shapes menu, select ‘Oval’ tool. 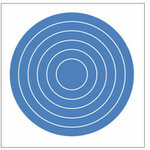 Hold the ‘Shift’ tab and drag to draw a perfect circle. Let the Fill color be white. Choose grey color for outline and let the weight of the outline be 4.5 pt. Right click on the circle and go to Format shape. Select Shadow -> Presets -> Inner -> Inside Center. Increase the blur to 37 pt. 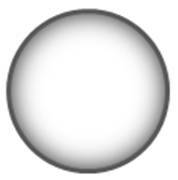 Add a white circle and set its transparency so it looks Glossy. Now add this to the glass to complete the look. 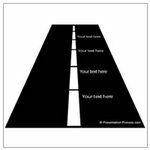 There are two simple tricks we use while writing the text. You can use the inflated text to highlight certain figures in your data presentation or certain ‘key words’ in the fine print of your brochures. 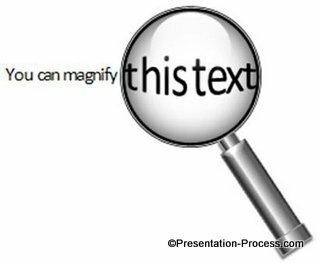 So, a PowerPoint Magnifying Glass diagram is quite useful to showcase your concept ideas. 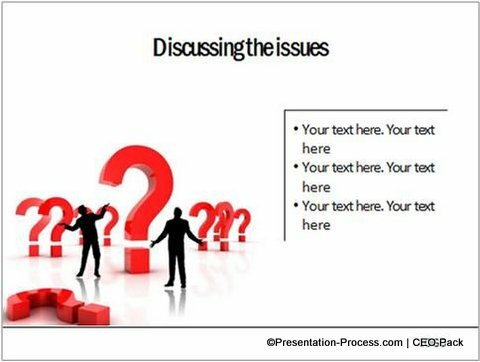 The Business PowerPoint templates you see here are part of our ‘750 + PowerPoint Charts & Diagram Templates Pack for CEOs’. 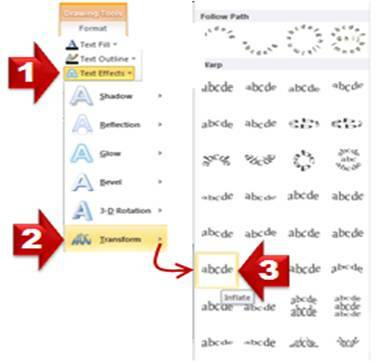 You can find far more tutorials – for diagrams and effects in our website. Please do leave a comment and share the tutorial if you found it useful.